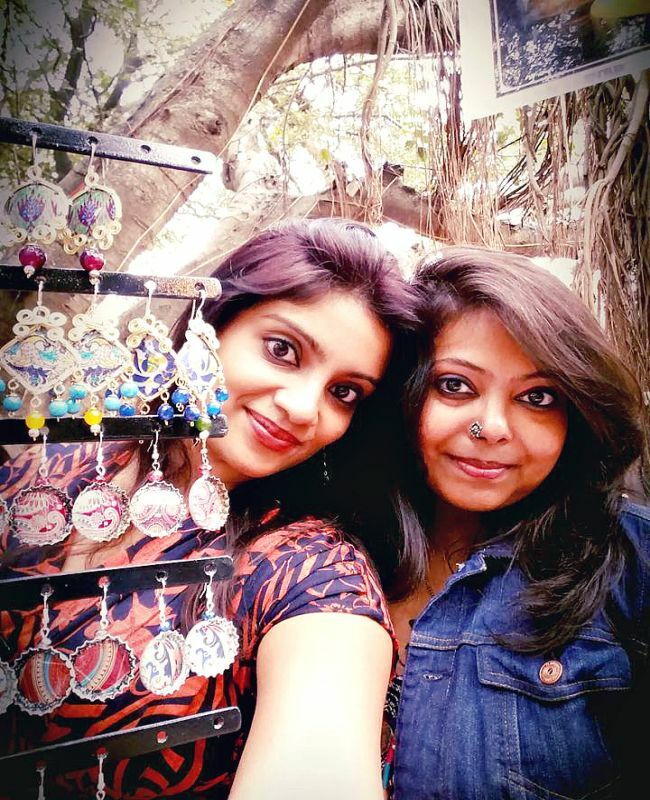 Two Women Innovators Design Jewellery From Waste Items. Imagine yourself being stumped by six-year-old wanting to know about recycling. How will you explain the concept of recycling? Despite knowing the concept is it still a struggle to get it across to a child studying in class 1? It was a situation like this that set Rituparna Das and Angeline Babu thinking. Despite the best but bookish explanations, both the friends failed to make their daughters understand the concept but in the process an idea took form. Back in 2012 when our kids were introduced to the concept of recycling, they came to us and asked about it. Despite knowing the definition and the meaning, we were neither able to make them understand what recycling is nor were they convinced with the conventional way of learning. We felt helpless, recalls 43-year-old Rituparna Das, co-founder of Silver Nut Tree. The quest to make their children understand something and the urge to do something of their own made Rituparna and Angeline come together and experiment with solid waste. Initially they experimented with a PET bottle and made a beautiful flower. Children being children didn’t understand the concept straight away, but it is because of them we did it. Our friends loved our first creation. Some wanted to wear it as a brooch, some as a necklace, so on and so forth, but we were clueless. We didn’t know what to do with it or how to convert it into a jewellery piece. All we knew was that we wanted to take this forward and make jewellery from waste, says Rituparna. 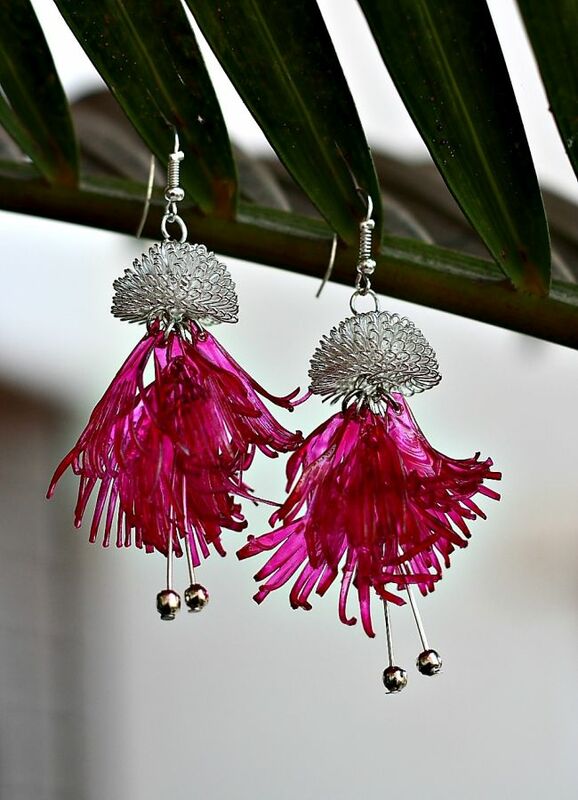 Encouraged by the positive response, the duo created few more items like earrings, painted old glass and plastic bottles to be used as a home décor item, and took pictures to post on social media. Within a week of the post they started receiving orders along with the positive response from all over Bengaluru and six orders from other parts of the country. “We didn’t start this as a business venture. It just happened”, exclaims Rituparna. The trial and error turned into an unplanned business and the duo started bringing back the plastic and glass bottles used by us in an eccentric way. With their mission- ‘One less bottle to the landfill’, the duo initiated upcycling some of the waste products to make jewellery like earrings and jhumkas from bottle caps, bracelet, danglers, and home décor items like candle light holder, glass bottle glow lamp using PET bottles under the brand name Silver Nut Tree, a name inspired from a nursery rhyme. As they say, with great power comes great responsibility. Same was the case with Silver Nut Tree. With all the positive response, they had truckloads of things to ensure the quality of product. Working with waste, especially plastic, is not easy. Plastic has its own properties like it melts when it comes in contact with heat, and nothing sticks to plastic easily so they had to figure out the kind of glue that could be used to hold things together. On top of all this, they had to ensure that all the elements used in the production are non-toxic. Orders started floating in and we could not say no to our customers. In fact, we didn’t want to say no to them and that is what kept us going. We cannot deliver low quality products to our customers and for that we did a lot of study, research and experiment. The type of paint we should use, the way we should use plastic and other waste materials, tells Rituparna. 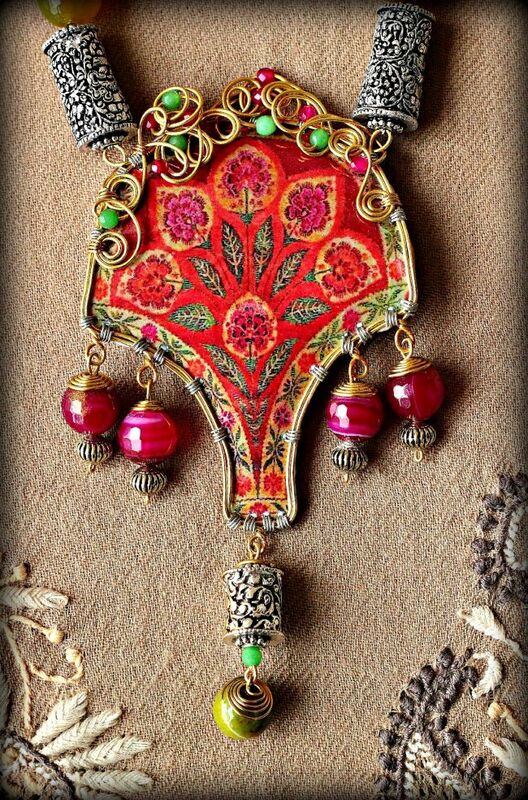 Slowly and gradually, the team started making more and more home décor items and handcrafted jewellery. Apart from running their business on social media, the duo collaborated with various boutiques based in Bengaluru to sell their products. Bottles, tyres, CDs which were discarded as waste were now attractive items people wanted to buy. The waste turned into a jewellery ranges from Rs. 250 to Rs. 15,000. 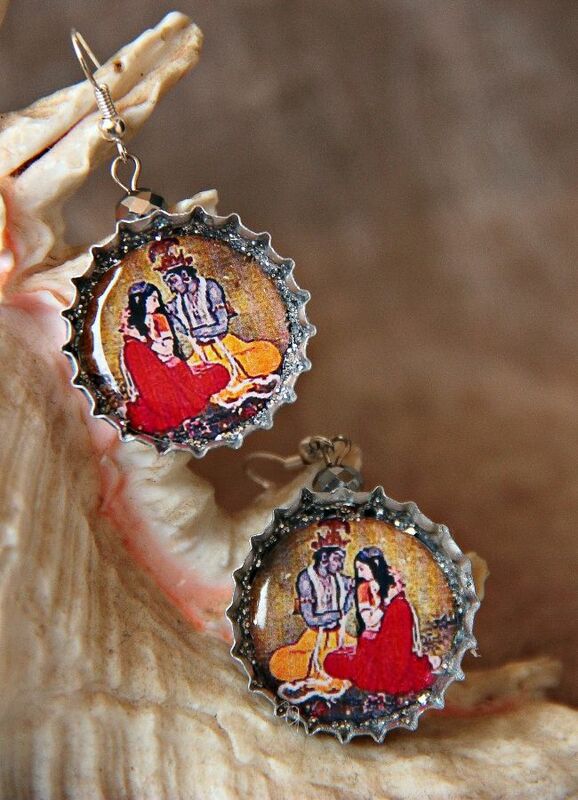 While handcrafted studs made by fusing images on glass and built on bottles caps can cost you around Rs. 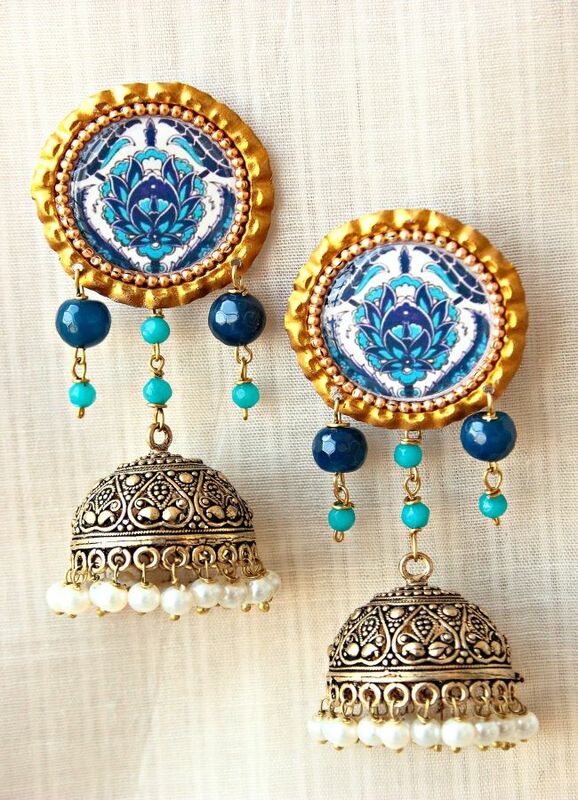 1300, jhumkas come for Rs. 2100 and bracelets like the Teal Tales Bracelet made using PET bottle is priced at Rs. 2,400. 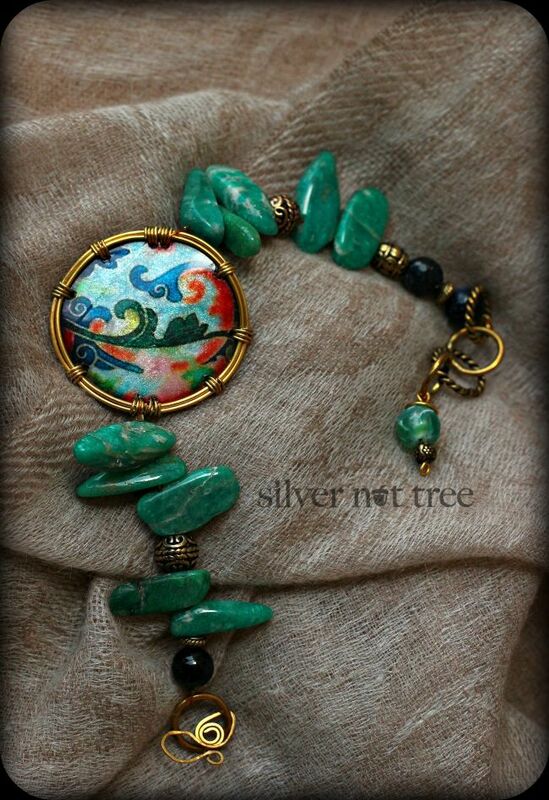 The material usually used in such pieces is flattened bottle caps, semi precious stones, brass beads, German Silver Beads. Initially they had to ask their friends and family members to not discard waste and save it for them, but over the years people started recognising the organisation and began sending waste to them. People are loving our work and it is evident with the support we are getting. Some people just come and drop in the waste while others ask us to pick it up from their place, says Rituparna. The duo not only put forward their ideas and designs but also does customisation. The organisation has collaborated with various boutiques based in Bengaluru and shopping sites to sell their creations. One can also get in touch with them through Facebook and place their order. The jewellery from waste garnered such positive response that once a bride asked them to design jewellery for her wedding and they managed to replace the traditional gold jewellery with the one made out of waste. Bride’s family who resisted the idea at first, later loved the intricacies of the design. On the wedding day, all eyes were set on bride and her unique jewellery. What started with an experiment has turned into a business venture for the duo. 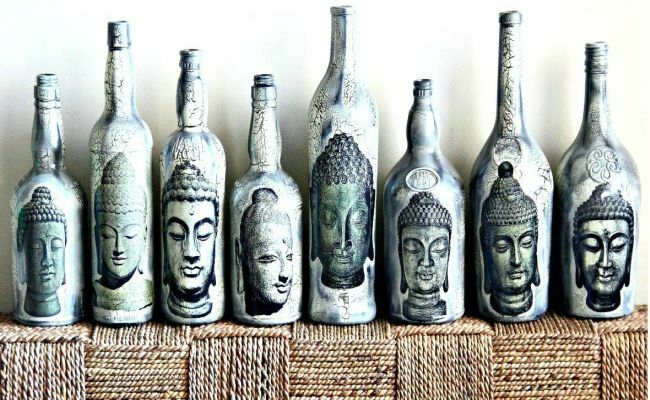 The experiment that started with a simple PET bottle now makes use of other waste products such as glass bottles, CDs, metal crowns, punctured tire tubes, and bottle caps. Previous Post: This Teenager Replaced 5 Lakh Single Use Plastic Straws. Next Post: Bengaluru Couple Develops Eco-Friendly Alternative To Plastic Bin Bags. Garv Hai by Swachh Aandolan.